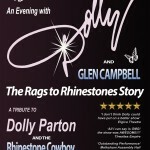 On Friday 12th April, Frazer Theatre Music presents “The Rags to Rhinestones Story”, a Tribute to Dolly Parton. Tickets are £16 + £1.60 booking fee and are available from Pear Records, High Street, Knaresborough and our online box office by clicking Buy Tickets. Doors open at 7pm, show starts at 7:30pm. Why settle for just 9-5 The Musical when you can come out and watch a full-blown Dolly performance. The Rags to Rhinestones Story is a smash hit tribute concert production that continues to sell out theatres across the UK. 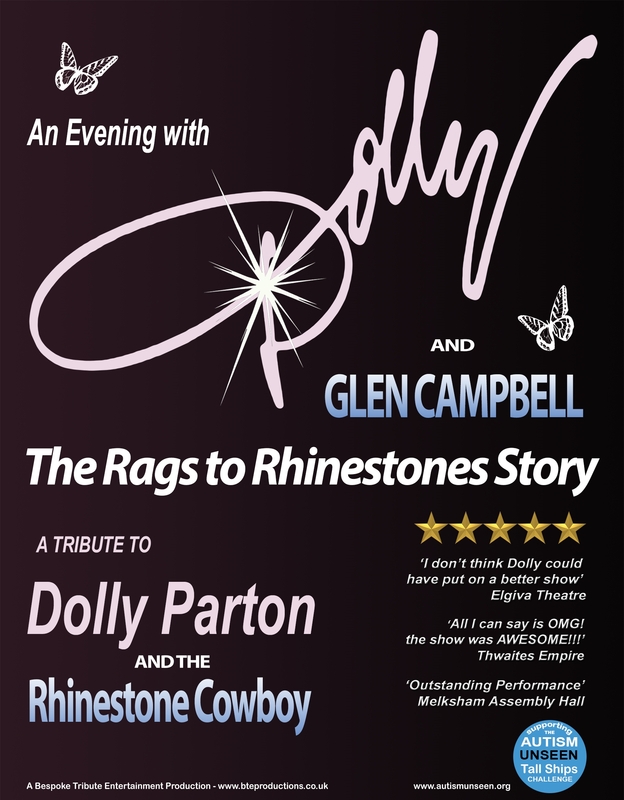 The show is widely accepted as the foremost tribute show to Dolly Parton, and is performed by the Award Winning Miss Julia Martin, the UK’s No1 Dolly Parton impersonator. The show has been described by theatre audiences as totally authentic in every way, and not only captures Dolly’s incredible stage presence, mannerisms and unique comedy one-liners, but also delivers a spectacular evening of entertainment, that no true Dolly fan will want to miss. This foot stomping, clap-along, interactive show is guaranteed to enthrall the audience from start to finish. It combines stunning sequined Dolly costumes; classic hit songs, and Dolly’s epic Glastonbury concert performance, into a spectacular sound, light and visual theatre production. The ‘Rags to Rhinestones Story’ not only brings-to-life the inspirational story of Dolly Rebecca Parton, but also takes the audience on a musical journey through the outstanding singing career of this Country Hall of Fame Legend. With meticulous attention to detail, Julia weaves her magic and delivers a show that makes you feel that Dolly herself is actually in the theatre. The show is also raising money for the Autism Unseen Tall Ships Challenge, where 6 groups of autistic youngsters accompanied by team buddies will crew and race around the UK in a 70 foot Challenger racing yacht. This is one of Autism Unseen’s most ambitious challenges to date, and the first time that a challenge of this nature has ever been set. By the time the autistic challenge participants have completed their voyage they will be much more self assured, confident and ready to meet head-on the daily challenges of being autistic. By supporting this event, you will not only have a sensational evening of entertaining, you will also be contributing to a trip of a lifetime for these autistic youngsters.